HDTV Supply's WolfPack 4x4 HDMI Matrix with HDMI 2.0 Compliancy allows any source (PC, Blue-Ray player, HD DVD player, satellite receiver, game system, etc.) to be shown on the any of the four displays simultaneously or in any of the 256 combinations. The 4x4 HDMI Matrix with HDMI 2.0 Compliancy supports 4K2K, 3D, and Deep Color. HDMI 1.4 supported 4K resolutions but only at 24 or 30 frames per second and HDMI 1.4 limits 4K content to 8-bit color. Our new HDMI 2.0 products can handle 4K video up to 60 frames per second. Easily resolve common source and display issues by setting a custom EDID setting for your displays with the 14-EDID Modes. HDTV Supply's WolfPack 4K 4x4 HDMI Matrix with HDMI 2.0 Compliancy was designed to support a new 4K display technology. The 4K 4x4 HDMI Matrix with HDMI 2.0 Compliancy was created to improve the contrast between light and dark images for a more realistic picture featured in new 4K TVs. Since 4K is four times the resolution of 1080p, it required more bandwidth to support the extra data and that is why we have designed these HDMI switchers with HDMI 2.0 Compliancy. xvYCC video formats without deep color. Supports reception of any audio data conforming to the HDMI specification such PCM at up to 192kHz, compressed audio(IEC 61937), DSD, DST, DTS and HBR. Switches HDMI between multiple sources and displays. Allows connection of up to 4 sources to up to 4 independent displays. Supports 3D frame sequential video format up to 1080p@60. Supports high resolution VESA mode video format up to QSXGA@60Hz. Supports reception of any audio data conforming to the HDMI specification such PCM at up to 192kHz,compressed audio(IEC 61937),DSD,DST,DTS and HBR. Supports S/PDIF and analog stereo audio extraction from the 4-HDMI outs. Supports 4-HDMI out Audio Return Control. Control for the front panel buttons, IR Remote control and RS-232. Why not buy this 4x4 HDMI Matrix with HDMI 2.0 Compliancy today? Q: Does HDMI 2.0 support BT.2020 (rec.2020) colorimetry? Q: ARC doesn't seem to be working, can you help? HDTV Supply includes a 1 Year Limited Warranty on this 4x4 HDMI Matrix with HDMI 2.0 Compliancy. The warranty states that (a) its products will perform substantially in accordance with the accompanying written materials for a period of 1 year from the date of receipt and (b) that the Product will be free from defects in materials & workmanship under normal use & service for a period of 1 year. In order to get a warranty replacement for a defective item, HDTV Supplys Support Team will verify the product is eligible for warranty. An RMA number will then be issued. Shipped replacements will be in like new conditions, tested and all components included. A 30-day RETURN also comes with this warranty. HDTV Supply also sells a 3 and 5 Year Extended Warranty for this 4x4 HDMI 2.0 matrix switcher. Please go to Extended Warranties or see the above Options to purchase it. Why not buy this 1x4 HDMI 2.0 Splitter today? The PC controller comes with green CD software. Just use a cable to connect the PC via RS232 port and execute "4x4 HDMI matrix Controller . exe" to the PC to complete installation. ARC Function: If you need use ARC your HDTV must support this function. When you open the ARC Function the COAXIAL audio of the matrix will output the HDTV current display audio content signal. 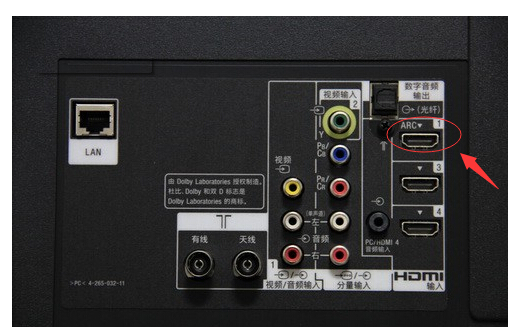 Otherwise it will output the selected HDMI source(DVD,set-top-box ,etc) audio signal.